We are pleased to announce the release of our newest design of subject chair and coil holder. Our new chair offers greater simplicity while providing even more comfort and flexibility for your needs. The subject chair is height adjustable, swivels and reclines. 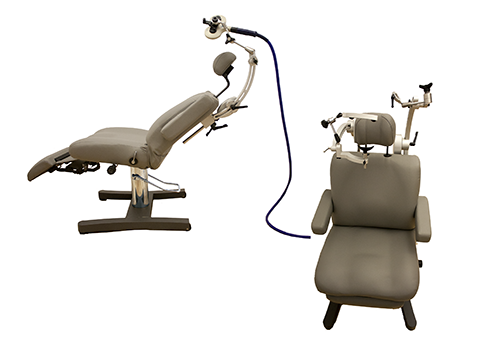 The leg supports are retractable so you can have the subject comfortably supine or upright. In the upright position, use the chin rest and forehead rest to keep the subject’s head still. 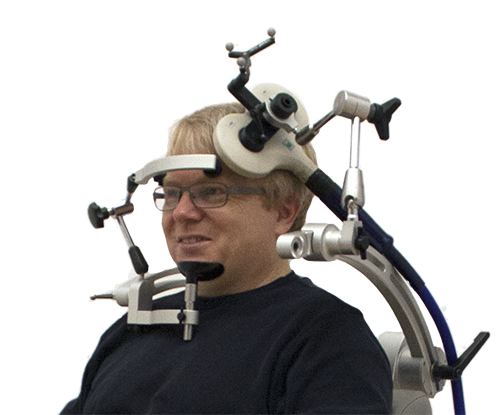 The chair can accommodate 2 arms to hold 2 TMS coils at the same time for bi-lateral stimulation. The armrests are retractable for easy access where mobility may be restricted. We re-thought the entire coil support. The goal is to provide a more intuitive arm to move the key articulations as close to the coil as possible. With the new setup, it is much easier to get the coil over the target. The new coil mounts include the coil tracker mount so the tracker is kept away from the arm. 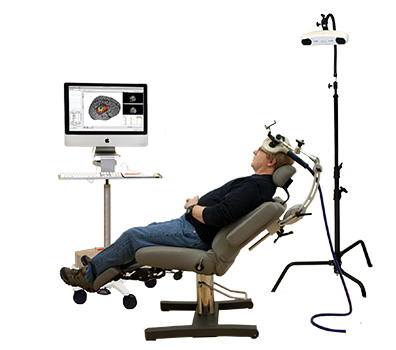 The sturdy chin rest can be used to ensure that the subject is kept in the correct position for the TMS study. 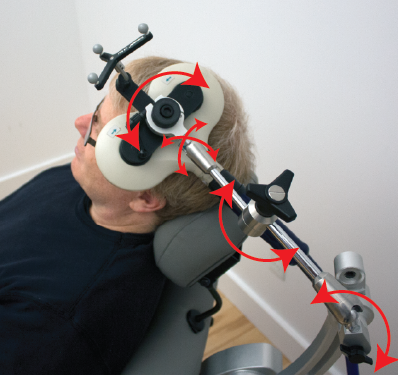 The forehead rest is on an articulated arm so it can be positioned in any orientation to help the subject keep a stable position.